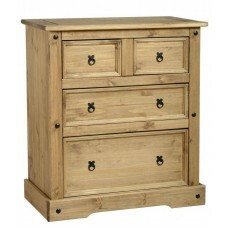 The Corona furniture range is probably our best selling range thanks to its huge variety, meaning there is something for everyone within their bedroom furniture range. 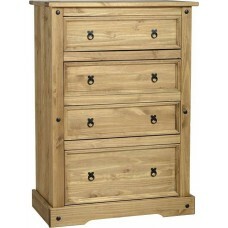 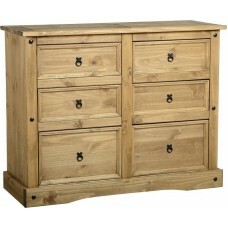 It remains sturdy chunky furniture, offering good value for money. 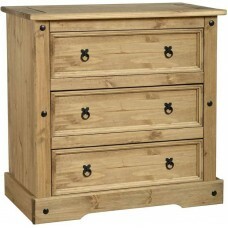 With a large range to choose from if spaces is limited their is a piece to match. 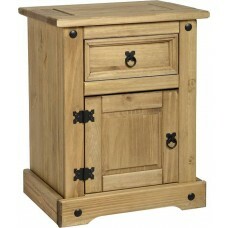 More than capable of furnishing the whole house. 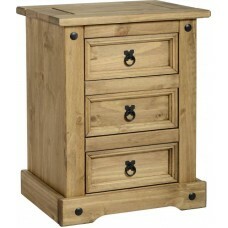 Corona Bedside Cabinet £45 (for 1 only) Distressed Waxed Pine Bedside Cabinet. 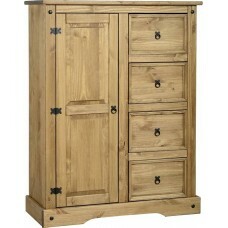 Rustic and chu..
Corona 2 door wardrobe £168 Distressed waxed pine. 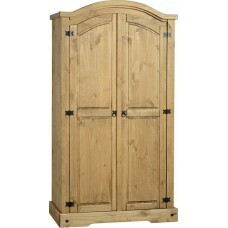 Rustic and chunky wardrobe, with 2 doors, ..
Corona 2 plus 2 chest of drawers. 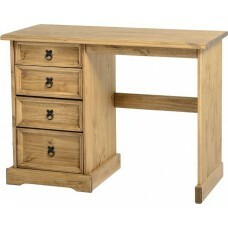 Now £129Distressed Waxed finish. 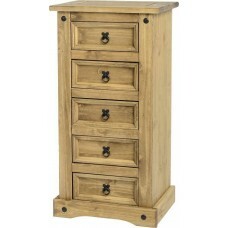 Rustic and chunky 2+2 draw..
Corona 3 door wardrobe £264 Distressed Waxed Pine .Rustic and chunky Lots of attent..
Corona 6 Drawer Chest £185 Distressed Waxed Pine 6 Drawer Chest. 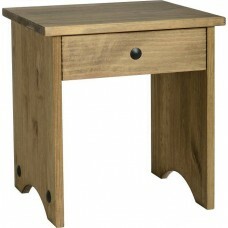 Rustic and chunky 6 drawer..
Corona dressing table stool W 385 x D 335 x H 410mm ..